Whether a ballerina is performing to music from an Italian opera, a flamenco dancer is performing to passionate Spanish guitar, or an Oriental dance artist (belly dancer) is performing to Middle Eastern songs, it can be very helpful to her to have at least a little knowledge of the song and what its lyrics mean. How can she interpret the song effectively if she doesn't know what it's about? Obviously, musicians feel there is all too common a problem with dancers failing to listen and dance to the music. It's challenging for novice dancers to familiarize themselves with Middle Eastern rhythms and feel the phrasing of unfamiliar melody lines. But there's another level of dancing to the music that even many professional dancers fail to address: interpreting the lyrics. Wrong Music for the Occasion. When hired to perform at an Arabic wedding celebration, the dancer picks her favorite Arabic song, "Lisah Faker", because she loves the music. She believes that because it was part of the repertoire of the legendary singer Oum Kalthoum, it will be appropriate for any occasion. However, this song is about a failed relationship is saying, "Do you think my heart will still trust you, or one word will bring back what used to be? In my heart, all my days were spent in tears... that was my life!" This is not exactly suitable wedding music! Offending Muslims. It has happened more than once: a performer decides to do an artsy-fartsy interpretive dance to the Muslim call to prayer. Sometimes the dancer knows the chant is holy and just doesn't care enough to show respect. Other times the dancer doesn't even realize what the words are saying. Either way, she becomes indignant when several audience members get up and stalk out of her show in anger. Wrong Mood for the Song. Imagine a dancer writhing seductively with come-hither moves or dancing joyfully to the Turkish song "Bir Demet Yasemen", a sad song that says "A bunch of jasmine is the only memory of our love. There is no end to separation, there is no end to my heart's grief." Anybody who speaks Turkish would probably think such a dancer is completely clueless! Misplaced Belief in Album Covers. Although some music producers include accurate lyrics information in liner notes, others have been known to invent things that bear little to no relation to the facts. The highest incidence of this occurs in albums released before the mid-1990's. More recently, the trend has been to providing more accurate information. Albums containing complete lyrics are likely to be correct, while those with a sentence or two may not be. We Need to Know What Our Songs Are About! Most of dancers want their performances to impress audience members enough to generate follow-on opportunities. Dancers want audiences to say afterward that their performances were great, and want to be treated as wonderful star performers. But not enough dancers think about delivering a performance that will truly convey the feeling of the song and leave a favorable impression with any audience members who speak the language. It is astonishing how many of teachers of Oriental dance don't know and, worse yet, don't care. How can dancers express a song through movement if they don't know what it's about? How can dancers avoid doing something completely stupid such the examples cited above if they don't have this basic understanding of their music? And how can they be credible as teachers if they can't give intelligent guidance to their students? And yet many professional dancers make no effort whatsoever to learn anything about the music they use. They don't read the liner notes on the albums. They don't search the web for lyrics translation help. They don't buy any of the books that are available with translations for song lyrics. Resources do exist, but many dancers don't know about them and don't make any effort to find out about them. Why Not Learn a Little Turkish or Arabic? If there's an Arabic or Turkish enclave in a community, it can be helpful to learn a few expressions in their language? Learn how to say "Hello", or "Thank you." Ethnic audiences will respect the dancer more if she knows a little about their language. It's not a bad idea for a dancer to learn some of the insult words, too, just in case someone calls her one of them. One night after a show, an Arab audience member smiled broadly and told a dancer at the local Arabic restaurant who knew no Arabic at all that she was a sharmuta. Seeing his smile, she thought she had been complimented, so she smiled sweetly, said thank you, and went on her way. Later, she told someone else about the "compliment" she had received, and that person informed her that he had called her a whore in Arabic. Imagine how foolish she felt when she realized she had thanked someone for a grave insult. It's not always possible to find a class in Turkish or Arabic. But dancers can purchase language instructional materials for tourists that teach introductory language lessons and they can start to become familiar with listening to the language. Even 10-15 minutes at a time of working with Arabic lessons on CD or MP3 player will eventually lead to some basic knowledge. These language instructional resources are particularly helpful because they train the ear to recognize words in the foreign language. For dancers, this can be more valuable than being able to read the language, because it helps make sense of words in song lyrics. Arabic is probably the best language to learn first. The 20th-century rise of Oriental dance in the Middle East occurred primarily in Egypt and Lebanon, and even in Turkey the elite dancers tend to use Arabic music. Even if a dancer is willing to commit the effort to learning another language, it will take time before learning it well enough to understand song lyrics. Fortunately, for those who have not reached that stage yet, there are resources for obtaining translations created by those with the language skills needed to do it. 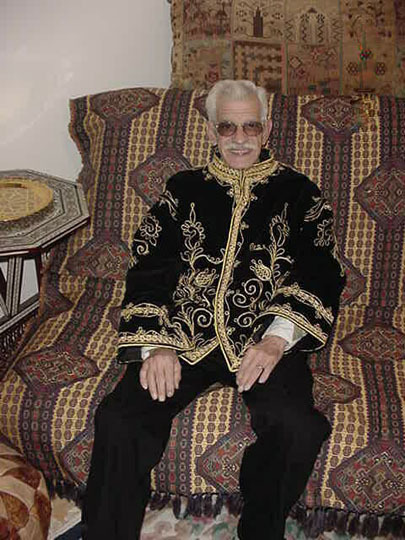 Sometimes companies such as EMI who import Middle Eastern music to the U.S. will produce U.S. editions with liner notes containing lyrics translations. Sometimes, even if the liner notes don't include full translations, they may offer a few helpful sentences summarizing the song. Phone (+1) (510) 654-DRUM, or (+1) (510) 654-3786. The Gems Songbook. Contains sheet music and lyrics translations for 11 songs, mostly Arabic. 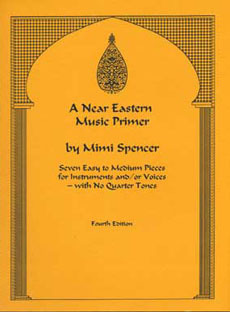 A Near Eastern Music Primer. Contains sheet music and lyrics translations for 7 songs. Sadika's Tunes. This is primarily a book of sheet music, but it contains the translation for one song, Nassam 'Alayna al Hawa. Playa del Rey, CA 90293, U.S.A.
Each book can be purchased individually. Each of the three volumes in the series is sold separately, and each contains translations of 8 or 9 songs. There are many web sites focused on music and culture of the Middle East, and some of these include translations for the lyrics of popular Middle Eastern songs. Browse other web sites with lyrics translations. Search by Vocalist's Name. If the song you want was popularized by a particular vocalist, search the web for that person's name. You might find a fan site that has translations for that person's music. Search for Culture Sites. The Al-Mashriq site mentioned in the list of other web sites in the above link is focused on Arabic culture, and contains a large section on Arabic music with a few song translations. Search by Song Title. This can be time-consuming, especially for Arabic-language songs, because there is no standard for representing the Arabic script in Roman characters. For example, one popular song might be spelled in any of the following ways: "Habena", "Hebeena", "Hibbena", etc. But experimentation with different spellings may lead to the desired translation. 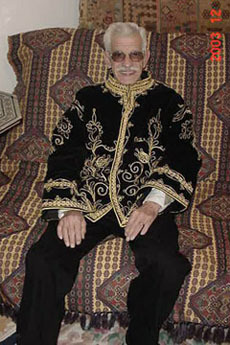 ABOUT THE PHOTO: This photo shows Tahseen Alkoudsi, who contributed 100 Arabic-language song translations to this web site. Some independent artists who play Middle Eastern music in restaurants or sell recordings of it may be able to provide lyrics. It probably wouldn't be useful to contact famous artists like Amr Diab or Tarkan who recorded through big-name studios, but independent musicains may be willing to share what they know. There are many social networks where dancers, musicians, and others who appreciate Middle Eastern music gather. Often it proves helpful to ask the other members of these groups whether anyone knows what a given song is about. People are frequently willing to share. Maybe someone else has a translation that an Arabic friend did for her. There may be college students or other people in the community who would be willing to do a translation for a reasonable fee. Sometimes people on the Internet advertise their services of creating song translations. Anybody who loves Middle Eastern dance enough to spend large amounts of her time and money on acquiring costumes, attending events, and taking classes should also invest in learning at least a little Arabic or Turkish. Anyone who aspires to teach or call herself a "professional" dancer should make the investment to build her own knowledge so that she can represent the dance with respect and dignity even in front of ethnic audiences who speak the language and know what the songs are about. The tools for learning a little about these languages are out there, and the resources for researching song translations are out there. It may take a little time to investigate these resources, but the reward will be a better relationship with the ethnic audiences in the community.